The Beverly Hills Mom » A beautiful cake made by our friend Jane for her husband Angelo’s 50th birthday – best Greek wife every! This entry was posted on Sunday, September 6th, 2015 at 3:01 pm and is filed under . You can follow any responses to this entry through the RSS 2.0 feed. You can leave a response, or trackback from your own site. 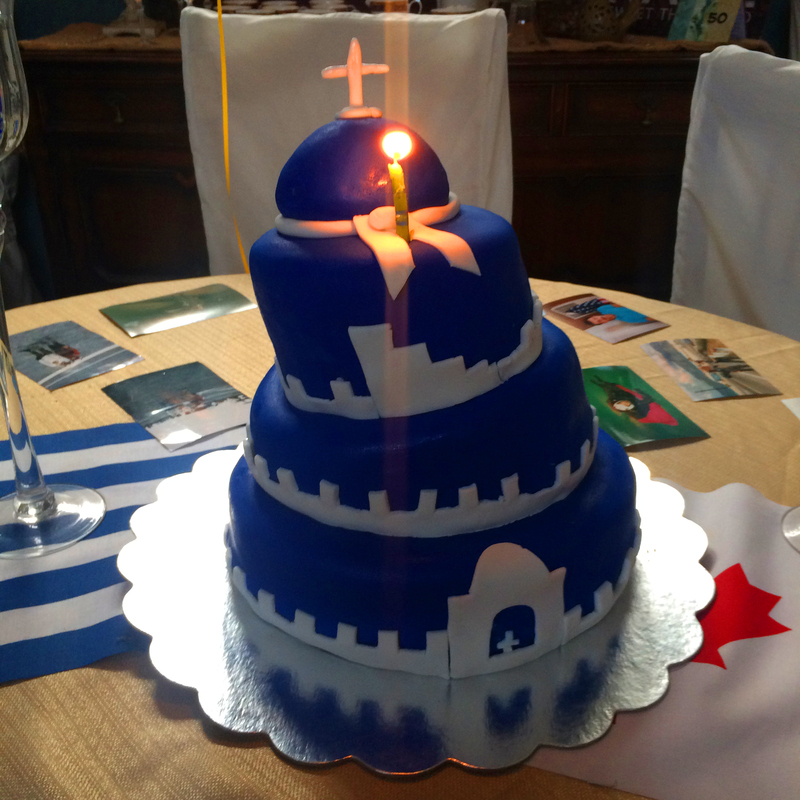 A beautiful cake made by our friend Jane for her husband Angelo’s 50th birthday – best Greek wife every!